For over 35 years Marilyn Mitchell, M.D. has grown a unique medical practice that integrates Energy Healing and holistic practices with traditional medicine. As an expert in women's health, she has treated over 30,000 women in the Chicagoland area who are thriving with this approach. Dr. Mitchell is an educator, speaker and health visionary. She has been a leader in the field of integrative medicine and a passionate advocate for the importance of combining energy healing with traditional medical care, partnering with the medical community to establish guiding principles for the future of healthcare. Dr. Mitchell is the founder of HealingSpace, an organization that promotes and encourages the integration of alternative modalities with traditional medicine. HealingSpace offers a unique approach to wellness with services including women's health and gynecology, integrative medicine, energy healing, integrated cancer care and survivorship, thermography, nutritional counseling and many more. Each service offered focuses on a specific aspect of wellness and collectively they provide an integrated, multi-dimensional space for healing. 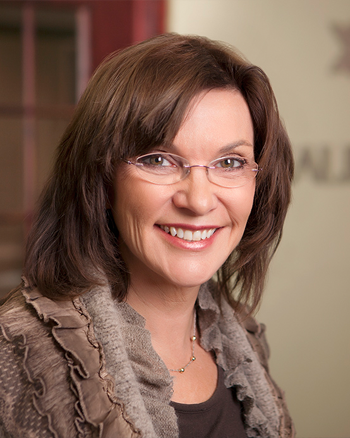 From 2001 until 2011, Dr. Mitchell worked as Director of Integrated Medicine at WomanCare, PC, an Illinois-based alliance of health care professionals, where she brought holistic healthcare into a traditional medical setting. She also served as an Obstetrician-Gynecologist at WomanCare from 1987 until 2011. Dr. Mitchell received her medical degree from Rush Medical College and completed her residency at the University of Chicago. She is certified by the American Board of Obstetrics & Gynecology and the American Board of Integrative and Holistic Medicine. 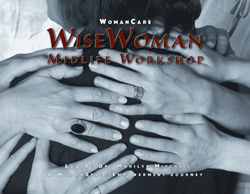 Dr. Mitchell is the author of the WiseWoman Menopause Workbook, which guides women through their midlife transition. Dr. Mitchell's upcoming book, The True Nature of Healing, explores the personal experiences that opened her connection to energy healing and led her to dedicate her life's work to bringing a worldwide focus to the benefits. We intuitively know that there is more to health and well being than medicine alone can provide. We long for better health and contentment. 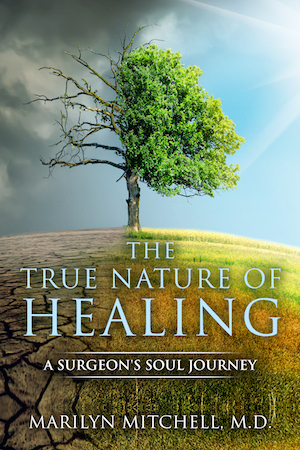 In The True Nature of Healing, you will discover a guide to your inner resource of vitality and healing that can be use even when facing serious illness. Learn from Dr. Mitchell as she shares her personal journey, and her patients who have prevailed in serious medical conditions. Dr. Mitchell and the HealingSpace staff invite you to join us for a night of drinks, hors d'oeuvres, and merriment! Come celebrate with us and get your copy of The True Nature of Healing signed by Dr. Mitchell. Free Event. Space is Limited. RSVP Required. Call 847-304-5526 for more info. Dr. Mitchell has spoken on numerous topics dealing with Energy Healing, Women's Health, WiseWoman, Menopause Transition, and more. She will tailor these talks to a level appropriate for professionals or for the general public. To book Dr. Mitchell as a speaker for your event, email info@healingspacellc.com. Heart and Soul Healing—Dr. Mitchell's Heart and Soul Healing workshop offers an experience of HealingSpace's multiple dimensions and a view into the use of energy healing in medical and personal situations by presenting underlying concepts and science, and presenting actual cases where energy healing has been employed. The 5 Aspects of Healing™—Dr. Mitchell presents The 5 Aspects of Healing™. We human beings are complex and multidimensional. Healing is the process by which we bring more of ourselves and our inner truth into our lives. In this talk, we look at 5 aspects of ourselves that function simultaneously, making the fabric of who we are, and then work with each of these. When all 5 aspects are addressed and working together, we come into alignment, and have an opportunity to experience true well-being and health. The 5 Aspects provide a framework or tool for achieving total health. The 5 Aspects are: Spirit, Mind, Body, Emotions, and Relationships. This talk can be presented as a lecture or as a workshop—either format will include didactic and experiential aspects. Women's Health Issues: Healing the Body, Mind, and Spirit—Dr. Mitchell will discuss how health issues can be an opportunity for healing and personal growth. A woman's wisdom is explored through one's life cycles, stages and spiritual circuitry. Dr. Mitchell discusses the Mind, Body and Spirit as avenues to wellness and enlightenment, and introduces the 5 Aspects of Healing as a framework and tool for achieving health. This session will empower you with knowledge in the medical and alternative arenas. Women's Health Issues: a Medical Healer's Perspective—Dr. Mitchell contrasts the approaches of medical and healing practices, and presents a framework for integrating these. When illness is considered as an opportunity for healing, and the medical and healing approaches are integrated, a more profound result can be achieved. Actual medical cases are presented where the integrated approach has been used. This lecture was presented at the Barbara Brennan School of Healing for students and faculty. Vibrational Healing: Where Energy Healing meets Science—This presentation offers a detailed discussion of the use of energy healing in serious medical situations. The underlying scientific concepts that explain energy healing are presented. Actual cases where energy healing has been used as primary or adjunct therapy will be presented complete with medical documentation. Physicians and practitioners will gain knowledge about ways in which energy healing is used in health issues, and the scientific concepts that explain how it can work. Invoking the WiseWoman: Menopause Redefined—Menopause is a challenging and exciting transition for most women. Dr. Mitchell addresses the concerns and challenges that women may experience during menopause and offers practical information so women may understand this phase, as well as make choices that optimize their health and well being. A positive and empowering framework (including The 5 Aspects of Healing™) for healing is presented as a way of using this life stage as an opportunity for personal growth and improved health. Topics addressed include perimenopause, bio-identical hormones, herbal remedies, aromatherapy, heart and bone health, psychological and relationship issues, sexuality, and the energy body. Fatigue Disorders—Dr. Mitchell discusses a spectrum of fatigue disorders, including sleep disorders, thyroid and adrenal dysfunction, Chronic Fatigue Syndrome, and Fibromyalgia. A framework for successful treatments and healing is presented. Simple Meditation for Health—Dr. Mitchell discusses what meditation is, and the health benefits it can provide. Medical issues are presented that can be improved or reversed with meditation. Dr. Mitchell teaches a simple breath meditation and leads the audience in this experience. Participants can expect to leave the session being able to practice on their own. Meditation CDs will be available for purchase. Dr. Mitchell's passion is helping her patients navigate through an illness or health condition to a place of wellness and dynamic, whole health. In her medical practice, she draws on her experience and training as a medical doctor, holistic physician, and energy healing practitioner to create a unique approach and plan for each patient. Dr. Mitchell reviews any previous workup, orders further labs or studies as needed, and develops a plan of therapy and healing for the patient. In addition, she will communicate with the patient's primary physician or other specialists (internist, family practitioner, oncologist, nurse practitioner) so the patient can benefit from a cooperative and collaborative effort. She has a supportive group of referral physicians from many specialties who will work with her and her energy healing practitioners for the patient's benefit, in and out of the OR. To request a medical appointment with Dr. Mitchell, fill out the form below. For questions or more information on our services, email info@healingspacellc.com or call 847-304-5526 to speak with a member of our team.